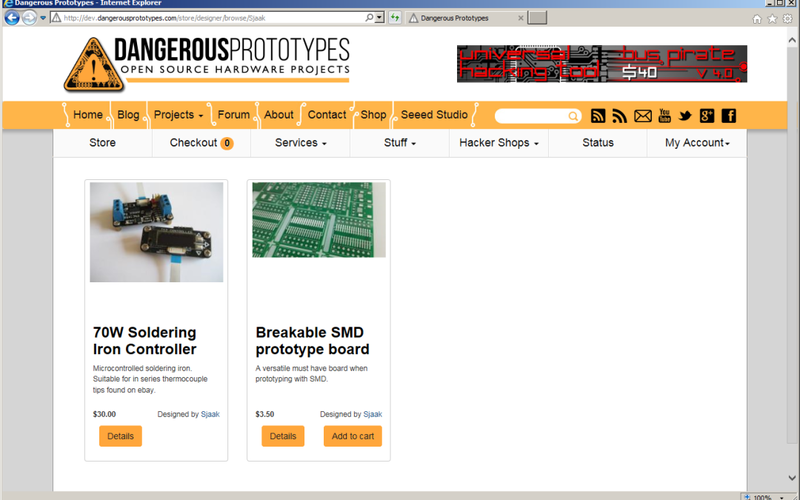 Today is a super exciting day as my friend Ian Lesnet from Dangerousprototypes.com finally got around in rewriting his website (well some parts I guess 🙂 ) He already published parts of the new site (new DirtyPCBS and DirtySLA) , but today he added Hackershops. This enables people, like me, to sell small quantities of DIY electronics to others worldwide. A big plus is that he (and his shop) is located in Shenzhen, China, which means access to very cheap worldwide shopping. He also takes care of Paypal handling, packaging and shipping the goods to you. As a bonus you can also combine shipping for other items from the Hackershop or goods and services from the Dangerous Prototypes store. 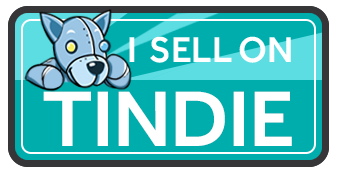 Can you beat that, Tindie?! Currently the Soldering iron controller is being packaged by my manufacturer and should be available anytime soon. I also ordered the breakable SMD protoboards which should go directly from the PCB fabhouse to the store. If those items are stocked I’ll focus on getting the next project out, which will be the Learn-how-to-solder-SMD-kit.. That will be a fairly simple and doable SMD soldering to help people getting started with SMD soldering. I already put up a product page with more information.